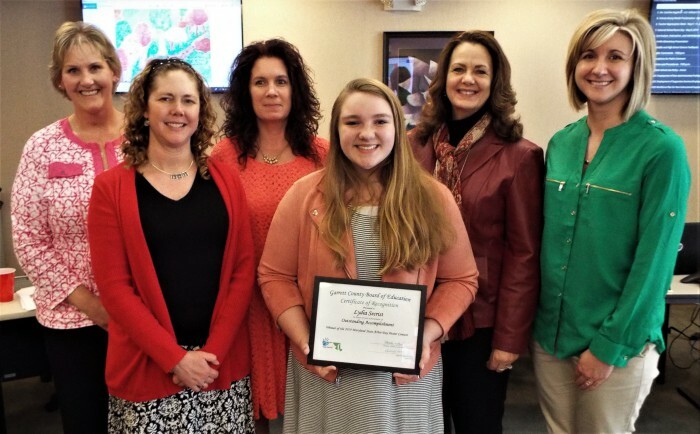 The Garrett County Board of Education, during its recent meeting on April 9, 2019, made several recognitions and proclamations. Mrs. Charlotte Sebold, Board member, recognized the Northern Garrett High School Bocce Team for winning the state championship tournament. Coach Kris Dewitt was also recognized for being nominated for the 2019 Special Olympics North America Coach of the Year. Mrs. Monica Rinker, Board member, recognized Ms. Lydia Secrist, a 5th grade student at Accident Elementary School, for winning the Maryland State Arbor Day Poster Contest. The Maryland Department of Natural Resources sponsors the annual fifth-grade Arbor Day contest and the theme was “Trees are Terrific… and Forests are Too!” The contest is judged annually by a panel of forestry experts and special guest judge, Maryland First Lady Yumi Hogan. Ms. Secrist was awarded First Place, and her school, Accident Elementary School, will receive 15 trees for planting. 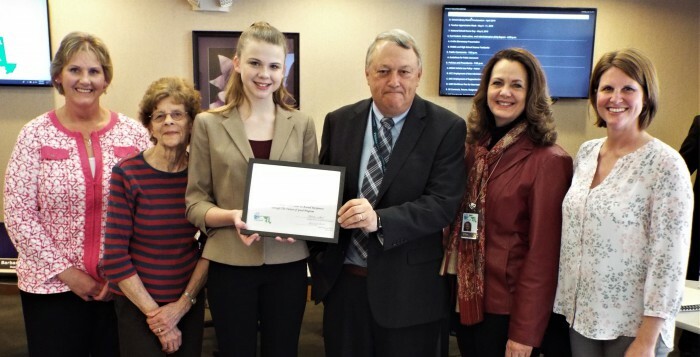 Mr. Rodney Glotfelty, Board member, recognized Ms. Caroline Argabrite, an 8th grade student at Southern Middle School, for being nationally recognized as one of U.S. Cellular’s 16 under 16 award recipients through The Future of Good program. Ms. Argabrite received the recognition for her exceptional volunteerism at The Reading Station, a local literacy nonprofit organization, founded by educator Ms. Sue Lisantti. Because of Ms. Argabrite’s contributions to promoting literacy and integrating technology to help serve the organization’s mission, The Reading Station received a $10,000 prize from U.S. Cellular. 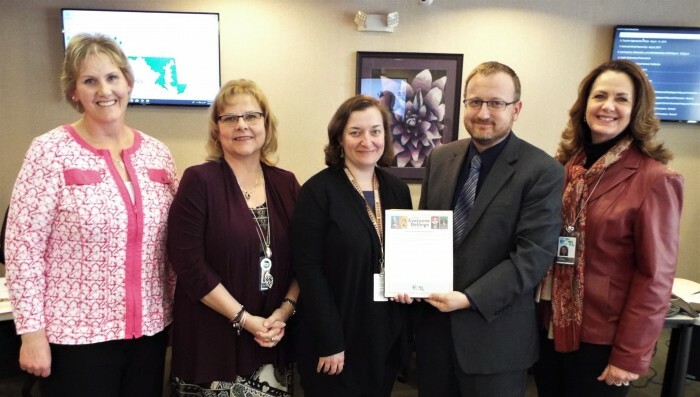 Mr. Matthew Paugh, Board President, recognized School Library Month by presenting a proclamation to Ms. Samantha Roller, Media Specialist at Northern Garrett High School, on behalf of all the school librarians. Mr. Thomas Woods, Board Vice President, recognized Teacher Appreciation Week, May 5 - 11, 2019, by presenting a proclamation to Mrs. Jennifer Virts, Northern Garrett High School teacher, and other teachers present, on behalf of all the GCPS teachers. Mr. Rodney Glotfelty, Board member, recognized National School Nurse Day, May 8, 2019, by presenting a proclamation to Mrs. Rebecca Aiken, Nurse Manager.